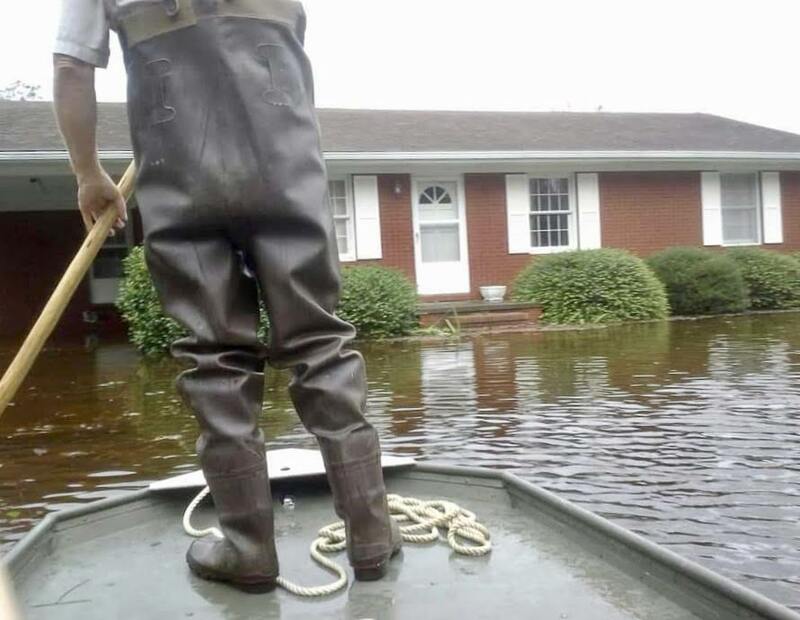 For the duration of Hurricane Florence in eastern North Carolina, people experiencing stress, anxiety and other mental health issues had phones as their link to help. Hurricane Florence roared ashore in North Carolina downgraded to a Category 1 storm with sustained wind speeds of 90 miles per hour. But that “reduced” storm intensity was still mighty, and mighty frightening. Sarah Bishop, a physician assistant at Carteret Health in Morehead City, stayed in the emergency department for the duration of the storm working 12-hour shifts. The Pennsylvania native was struck by how powerful the storm was. Bishop was high and dry, in a building that was solid and above the storm surge. But many on the coast were in far less secure buildings that flooded and sustained damage from wind, falling trees and flying debris. Mental health workers in coastal counties said they heard from their patients about their terror from the storm and the rising waters. It was stressful for everyone, but for the most psychologically vulnerable, it could be devastating. The call volume for mental health disabilities and substance abuse crises was higher than normal, especially throughout the weekend that Florence’s winds and rains raged, said Cindy Ehler, vice president for clinical operations for Trillium Health Resources, the mental health local management organization (called an LME/MCO) that covers 26 eastern North Carolina counties. Trillium usually fields 100 calls a day, but from Sept. 14-19 the organization took 812 calls. She said that’s the expectation during these types of events and for that reason the organization has beefed up its phone response team. “Most of the first responder systems or mobile crisis for mental health was down during the actual, you know, the action of the event, the flooding and the wind,” she said. “Responders can’t really get out in that. So our telephonic response is really the response that remains intact throughout that whole event. “Like the calls that were suicidal, we may be on the phone with somebody for hours, helping them get to a place where they’re OK, because it’s us and them, and there isn’t anybody else to respond,” she said. Many of the people who had to evacuate had developmental disabilities including the residents of 24 six-person group homes. Some of them won’t be able to return to their residences after the storm. “We have at least one group home that flooded in New Bern that the state worked with us to relocate to the campus of Caswell Center,” a state-operated facility in Kinston, she said. Ehler, a counselor with decades of experience, was one of the people answering phones. She said many of the supervisors at the LME/MCO take phone duty to increase their capacity for response. She said that’s one of the lessons learned from Matthew and other bad storms, to provide surge capacity with some of the most experienced clinicians. “When we start seeing a certain volume of calls coming in, we immediately start adding resources,” she said. Ehler, a New Bern resident, wasn’t at home, though, as the storm progressed. She had evacuated to Richmond, where she was taking those calls on her cell phone. Trillium’s system can route phone calls from desperate clients to someone who can answer. And because Trillium’s service area is so large, providers in areas affected less by the storm, in northeastern North Carolina, were also able to pick up calls. “We stay online the whole time, although we’re also moving throughout that time,” she said. Mona Townes, director of the Integrated Family Services mobile crisis team that operates in Carteret County, said her team’s emergency response plan also specifies that her team shift over to responding by phone. She said her team members checked in with all of their mobile crisis clients during the storm and all of the people they reached said they were happy to make a connection. She estimates there are 30 to 35 people served by her three-person team located throughout Carteret County. Mobile crisis is just what it says, a team of professionals that take services to people who need help to stay in the community and out of the hospital. “They understood that, you know, for their safety as well as our safety we could not physically… we could not respond face to face,” Townes said. By Monday, when the rains slowed and the winds died down, Townes’ therapists started getting out, for example, visiting people in shelters which can be stressful places, “literally just engaging with people, sitting with people, talking with people. She said that her team has been able to connect with all but one of their clients since the rain stopped. Both Townes and Ehler said they were worried about some of the first responders who spent several weeks working flat out. Some of what those responders see can be traumatic. One of the tragic stories that came out of Carteret County was an apparent murder-suicide which was reported even as the storm was raging outside. Townes said that incident concerned her because Carteret County has such a high suicide rate, the ninth or 10th highest in the state. 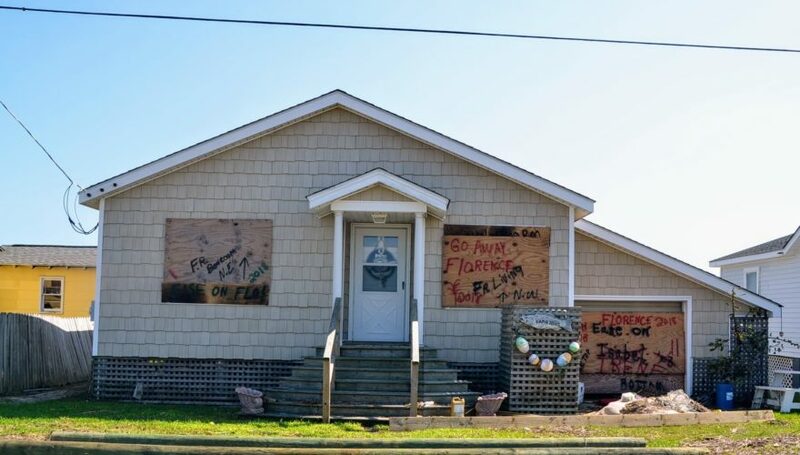 A rundown of the many adverse effects of Hurricane Florence in North Carolina’s coastal counties.